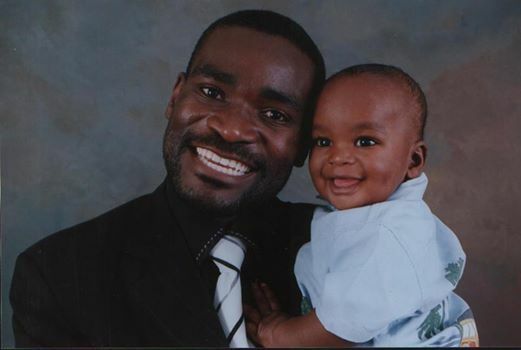 Politics of Chigololo: President Sata, HH and the slurring of fatherless children | Elias Munshya, LL.M, MBA, M.DIV. By E. Munshya, LLB (Hons), M.Div. Instead of being a father to the fatherless, President Sata has become a scoffer of the fatherless. Instead of being a father of the nation, President Sata has chosen to ridicule those among citizens who have lived without knowing their fathers. Quite extraordinarily, it takes a lot of steel for a man to condemn others for the same thing he does. Pointing a finger at others, when four are pointing back at you should be enough to warn you of your own decadence. It is bizarre to disparage Hakainde Hichilema as a child “born out of fornication” when you yourself have a chain of children born out wedlock. When President Sata first chanted the famous bana ba mufigololo stanza, in July 2013, to refer to both Father Frank Bwalya and Hakainde Hichilema, I gave him a benefit of doubt. He is only human and may be he just had a slip of a tongue. I rationalized that may be he had such an intense campaign for Lameck Mangani that he, in the heat of the moment, thoughtlessly brought in the cigololo analogy. In English, it does sound lighter. But used in CiNyanja these words are graver and even more uncouth. As if it was not enough that he had used these uncouth words in Chipata last year. President Sata has repeated the same slur. Campaigning in Katuba Constituency, last week (in February 2014) he used the same disparaging remarks referring to HH as a man “who cannot name his father.” President Sata, who is 76, went on to name his own father and challenged HH to do the same. By implication, President Sata does seem to be suggesting that HH is unworthy of the presidency because he was allegedly born out of wedlock. It is clear that President Sata does seem to have some issues he needs to settle in his own mind concerning “abana ba mufigololo”. Our constitution does attribute a lot of dignity to the person occupying the office of president. This is the reason why such an individual gets immunity from both civil and criminal suits while they serve. In fact, the Supreme Court has made it clear, that the Presidency is a high office that must be “honoured and respected”. According to Chief Justice Matthew Ngulube, in the case of Mmembe and others v. the People (1996), the presidency, as an institution, does deserve protection from, among other things, libel and defamation. For Ngulube the constitution makes the president to be “not equal” to everyone else. In reprimanding Spectator Kalaki’s Mfuwe article, the Supreme Court in Roy Clarke v. Attorney General, held that characterizing Mwanawasa and his cabinet as animals was in bad taste and was inconsistent with Zambian values. According to Chief Justice Ernest Sakala, “a Zambian President deserves respect”. Most recently, in the case of Mutuna & Others v. Attorney General (2013), Acting Chief Justice Lombe Chibesakunda’s majority opinion did seem to have evoked both Justice Ngulube and Justice Sakala by claiming that the presidency is such a high office that is “authority on everything.” Indeed, our laws do seem to impute a lot of dignity, decorum and deference to the president. But the law has not quite addressed the question of how we citizens should handle a president who uses immunity as a cover to insult and disparage others. Supreme Court precedence does seem to have worked presidential dignity backwards. It imputes respect and reasonableness on a president and then from there assumes that the president will act in fairness, reverence and dignity towards others (See Mutuna & Others). But what are we to do when citizens get the brunt of insults from a sitting Head of State? This is the question and the dilemma we face as a people today. President Sata’s words should be taken for what they are: plain insults. It is not respectful for a person in authority to characterize some citizens as “abana ba mufigololo.” We might at this moment borrow some wisdom from President Frederick Chiluba who famously declared: imfumu taituka bantu, abantu ebatuka imfumu. Loosely translated, a good leader does not use his or her position of authority as a cover to slur subordinates. However, ever since the don’t kubeba government took office the reverse has happened: imfumu iletuka abantu! The PF government is a specialist in reverse gears. The latest casualty of their reverse gear is the falling Kwacha. But I will leave that for another day. Presidential immunity should not be used as a way to insult, but rather as a way for a president to have the leverage and freedom to consult with others in national development. President Sata should look at others that went before him. Kenneth Kaunda was a “wamuyaya”, but where is he today? It was a custom of his to refer to citizens and some opponents as “stupid idiots”. But when the time came, he was kicked out of office. Then came Frederick Chiluba. Even if he never insulted his opponents, after leaving power in 2002, the Zambian parliament stripped him of his immunity. Mere suspicions of theft were enough to strip Chiluba of his bombasa. Rupiah Banda also has had his bombasa stripped. This should serve as a lesson to President Sata also. He should use the privilege of immunity to serve and not to abuse others. Immunity is quite an unreliable shield. President Sata as Head of State is supposed to be inspiring confidence in a number of children born out of wedlock every day. It is not his job to disparage mothers giving birth to fatherless children. Indeed, this president is supposed to be president for all Zambians including those born out of wedlock. His continued ridiculing of HH only goes to perpetuate stigma against children in Zambia who have lived without knowing their father. In fact, daily in our primary schools, children without fathers are being subjected to bullying. They are being mocked for something that is not their fault. And yet, instead of receiving support from the leadership of our country, they receive innuendo that casts doubt on their personal value. What are these children supposed to do? 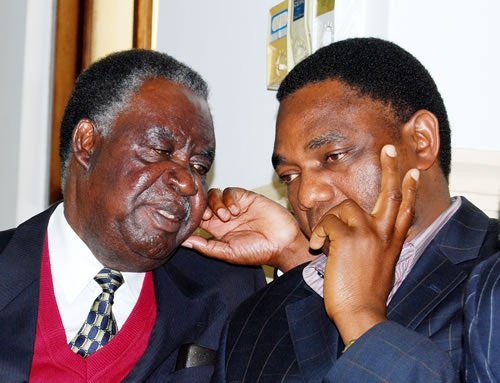 Hakainde Hichilema may have survived a fatherless childhood. He has made good out of himself. He is one of the richest guys in the whole country. He has been to school and his degrees are an envy of many. He is leader of one of the biggest political parties. He is a father himself, or perhaps, a grandfather. It is all these reasons that make President Sata’s remarks even more absurd. As Zambians, we all know that many times, it is not biological parents who raise children. It takes a village to raise a child. For a man like HH to be where he is today, he received lots of support and nurture from many people in his community. It is these people – men and women – who were HH’s fathers and mothers. And just look at the finesse of a gentleman that he is. There is absolutely no reason why HH should be at the receiving brunt of these insults. If the constitution will not protect the fatherless innocents from a hasty president, we might as well rely on customary wisdom: Ubufumu bucindika umwine.